During his exile in 1869, Mexican general Antonio López de Santa Ana (the Mexican general who defeated the Texians at the Alamo) convinced Thomas Adams of New York to try to develop a product utilizing chicle, the gum of the sapodilla tree (Manilkara zapota), a tree found only in Yucatan, Guatemala, and Belize. After several failed attempts to make toys, masks, and rain-boots out of the material, Adams finally added flavoring to it and came up with chicle-based chewing gum. Chewing gum had been around for a few years already in the US, but up until then it had been based on Spruce gum and had never really caught on. This new concoction did. In 1891, 29-year-old William Wrigley opened a business selling soap wholesale to grocery stores. As an incentive to his clients to buy more of his soap, he began giving them free baking soda with their follow-up orders. When the popularity of this incentive skyrocketed, Wrigley switched his focus from selling soap, to selling baking powder. 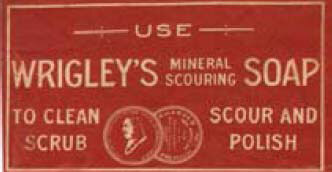 To help this new product take off, Wrigley began giving free chewing gum to his clients re-orders. Wrigley soon began to manufacture his own gum and sourced his chicle directly from the Yucatan. 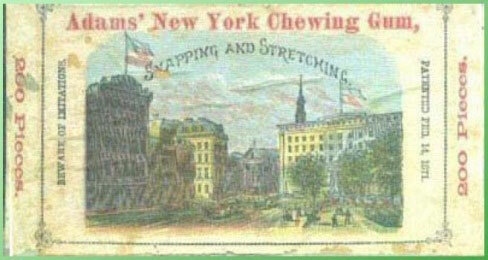 In 1893, Wrigley’s introduced Juicy Fruit Gum, and a few months later, Wrigley’s Spearmint. 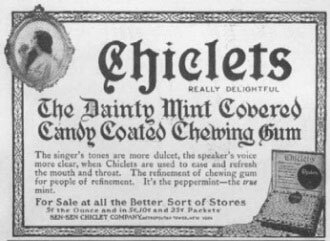 These two gums, as well as others being manufactured in the US, became wildly popular and the chewing-gum craze fueled a race to see who could control the chicle supply. The Mexican government tried, but since the territory with the most sapodilla trees (also called chico-zapote trees, in Yucatecan Spanish) were located in lands held by the Mayan Cruzoob rebels, there was not much they could do about it at first. Later, in the 1910s, after the War of the Castes had wound down, the Mexican Federal government began to enforce concessions, as well as the export of chicle. By the 1920s, Cozumel had become an important port in the chicle trade and needed a hotel to house visiting American buyers and Mexican government officials. To this end, Refugio Granados constructed the Gran Hotel Louvre in Cozumel in 1924 at the intersection of Juarez and Zaragoza. In 1932, Felipe Rivero Herrera built the Hotel Yuri, located on Calle 1 Sur between Avenidas 5 and 10. In 1938, the Hotel Playa was opened off Avenida Playa Norte (today’s Avenida Melgar) with economic assistance from the government. When natural chicle was replaced as an ingredient in chewing gum by a synthetic base during World War II, the chicle trade crashed. With no other industry or trade to replace it, the island’s economy was in shambles. Hard times were had by all. The Hotel Playa was closed due to the deteriorating economy on Cozumel. The former hotel is now the Cozumel museum. The war years were hard for Cozumel. The planned American airbase that the US War Department had assumed it could build and man on Cozumel had been rejected by Mexican Secretary of Defense Lazaro Cardenas, the ex-president of Mexico who nationalized the Mexican oilfields and expelled the American oil companies. As a result, little of the money, munitions, and supplies the US gave Mexico in exchange for the right to build airbases actually ended up in Cozumel. Some of the funds were used by Mexicana de Aviación (a subsidiary of Pan American Airways at the time) to improve the island’s old dirt airstrip, but the American troops and their spending money never appeared. The new dirt runways were, however, one of the necessary building blocks for the island’s tourism infrastructure, and that was a consolation. In 1948 a nautical mishap occurred which would have the odd result of indirectly leading to a huge rush of American tourists racing to visit Cozumel. On February 13 of that year, the freighter “Narwhal” was passing by Cozumel on its way from Puerto Barrios, Guatemala to Mobile, Alabama. The ship was captained by J. Wilson Berringer and carrying 125 tons of bananas when it grounded on the point of the east coast of Cozumel called Ixpalbarco. The 10 member crew managed to get off safely and walked across the island to San Miguel, where they found rooms at the Hotel Playa. When notified of the wreck, the boat’s owner, Charles Fair, flew down to Cozumel from his home in New York to oversee the salvage operation. During his stay, he became impressed with the island and told Carlos Namur Aguilar, the honorary Consul of Honduras in Cozumel, he would recommend it to his friends. In May, 1951, the Committee for the Betterment of Cozumel met and began to discuss the idea of promoting tourism to the island. A speaker at the meeting, Roberto Sarlat Corrales, urged Cozumel to join forces with the rest of the peninsula in an effort to entice the tourists. Although the suggestion received little attention, tourism was soon to become the island’s salvation. When Mr. Fair, the owner of the stranded freighter, returned to New York in 1948, he had been true to his word and told his writer friend, John R. Humphreys, about how pleased he was with his stay on Cozumel. Humphreys, in turn, traveled down to Cozumel in 1953 to check it out for himself. While staying at the Hotel Playa for only sixty cents a day, he began taking notes for an article. A few months later, he returned to Cozumel for another month-long stay so he could finish writing it. The completed product was a glowing story about the island, but he didn’t find a publisher for another few years. Holiday Magazine, the in-house magazine of the American Automobile Association at the time, finally decided to print the article in its August 1955 issue. Entitled Cozumel: A new island Paradise, the article described a scene of an idyllic, inexpensive tropical Eden. “Tourists seldom go there,” wrote Humphreys. “Visitors from the United States are rarely seen on its shores. Yet you can live on Cozumel in style and even in relative luxury for less than 100 dollars a month.” The airfare to the island was $51.70 one way from Miami to Merida, then another $10.00 to fly TAMSA’s DC-4 two-hour flight on to Cozumel. The article struck a chord with the American public. The description of a nearby tropical island where steak was .20 cents a pound, custom-tailored suits made for $3.00, five-bedroom houses rented for $30.00 a month, and cooks could be hired for $5.00 a day, caused a huge influx of vacationers that caught the island by surprise. In 1957, the American scuba diver Robert F. (Bob) Marx showed up in Cozumel along with Mel Fisher and his wife Deo, where they were to film some underwater promo films for Pan American Airlines. After the filming, Bob stayed on in Cozumel and began using Hotel Playa as a base of operations for a tour-guide/diving business, the first commercial operation of its type on the island. He was charging $8.00 USD per day for his services, boat, and equipment, according to an article about Cozumel in a 1959 Esquire magazine. Initially, Bob gave the diving lessons and acted as a dive guide for tourists who wished to try the sport, but soon took on a couple of Cozumeleños as interns and trained them to take care of the tourists. 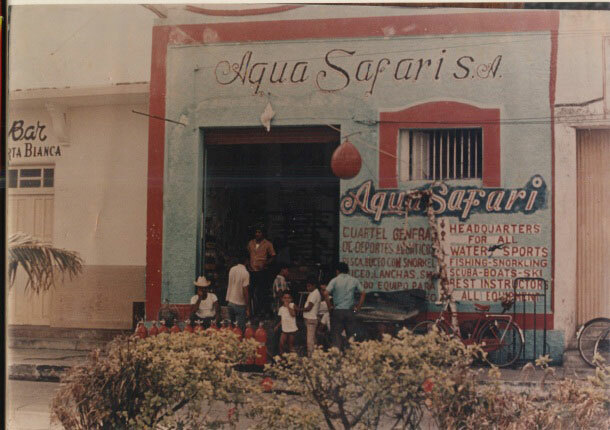 A year or so later, Tiburcio García opened El Clavado Dive Shop and Ramon Zapata’s opening of Aqua Safari in 1960 with partners Juan Marrufo, Renato Bauche, Antonio Venegas, and Orlando May followed closely thereafter. In the January, 1958 edition of Travel Magazine and again in the February 1958 edition, Cozumel got some nice write ups. The articles pointed out that TAMSA airline was flying a DC-6 to the island from Merida for $17.50 USD one-way. Also in 1958, an article headlined “Cozumel se Acapulciza” (or, “Cozumel is becoming an Acapulco”) appeared in Volume 15 of Visión magazine. This article states that the North-American tourists have been coming to Cozumel for a few years now, due in part to previous US magazine articles. It also laments the fact that it is easier to get to Cozumel from the States than it is from Mexico City! Some things never change. During his stay in Cozumel, diver Bob Marx heard about the wreck of the El Matancero (officially named Nuestra Seńora de los Milagros), a Spanish merchant vessel which ran aground on the coral reef near Akumal on February 22, 1741. In 1957, Marx crossed over from Cozumel to check out the wreck. Although a few fishermen had known about it, it had not been excavated. Returning with two friends of his, Clay Blair (the associate editor of Saturday Evening Post) and Walter Bennett, Marx began to salvage the wreck. The first effort yielded little, but when they returned a few months later, they began to find and remove hundreds of objects that had gone down with the ship. Blair returned to the US and wrote a short article about the find in the March 1, 1958 Saturday Evening Post and all hell broke loose. As he and Marx returned to the wreck for a third effort at removing the cargo, the Mexican authorities put a stop to their salvage operation and instead granted a permit to Pablo Bush, who had just formed a brand new organization called Club de Exploraciones y Deportes Acuáticos de México (CEDAM) that same year. After a few false starts, Bush and CEDAM began to excavate in earnest in 1959. Bush offered Marx the opportunity to participate with CEDAM, so the salvage operation eventually consisted of around 25 Americans invited by Marx and another 125 Mexican divers (including Alfonso and Reggie Arnold). 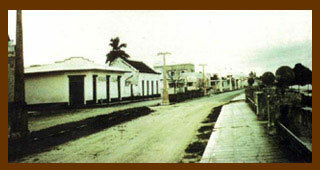 Bush later purchased the land near the wreck and made Akumal the club’s headquarters, where he later installed the CEDAM Museum (since moved). In 1960, Clay Blair published his book, Diving for Pleasure and Treasure in the US and then republished it in 1961 in Great Britain. The book detailed his and Marx’s adventures in Cozumel and added fuel to the blossoming dive industry on the island. In the May 1959 issue of Holiday Magazine there appeared a second article by Humphreys entitled “Cozumel: Bargain Paradise Revisited.” This new article described the huge differences Humphreys noted that had occurred on the island since his first article was published. For starters, the island was on the verge of being over-run by Americans. The island, Humphreys wrote, “had been discovered by thousands of Americans in search of a Caribbean paradise.” Humphrey’s travel agent in Merida told him the islanders had found themselves in the middle of a gold-rush style stampede. “They came and they came, so many people, so suddenly… from New Orleans and Miami, planeload after planeload. They all demanded the way to your island.” The frequency of flights from Merida to Cozumel had risen from four to nine a week, and they were all fully booked. Because of Holiday Magazine’s wide circulation, this second article also had a huge impact on Cozumel’s economy; Americans were now ready and able to take Mexican vacations in large numbers, and that they did. After Humphrey’s second article appeared, another author wrote (in an article about Cozumel in Esquire Magazine, 1965, Vol. 64) about Humphries’ trip, saying that no one in Cozumel would let him pay a bill during his stay! Two of the tourists drawn to Cozumel by Humphrey’s first article was an American born in London to Russian parents, Ilya (sometimes translated as William) Chamberlain and his American wife, Mary Helen Byrnes, who visited the island for a short two-day stay and fell in love it. They would return later with some capital and renovate two neighboring houses on Avenida Melgar (one of which Humphreys had rented during his second visit) and turn them into the Hotel Mayaluum in 1955. Located on the Avenida Melgar at Calle 8 norte, it sported a nightclub and offered a so-called “haute cuisine.” Later, in 1960, Chamberlain would add the Instituto de Arte Cozumel to his enterprise. Across the street from the Mayluum, Fernando Barbachano opened the Hotel Caribe Isleño at the corner of Avenida Rafael Melgar and Calle 8 norte, where today Los Cinco Soles now stands. Soon after that, 12 new cottages forming the beginnings of Cabañas del Caribe were built in what would later become the Northern Hotel Zone, on San Juan beach. Also in 1956, Mexican movie director René Cardona made the film Un Mundo Nuevo, which was shot under Cozumel’s waters by cinematographer Lamar Boden, who would later be the cameraman for the movie Flipper and the Sea Hunt TV series starring Lloyd Bridges. Many people have confused Jacques Yves Cousteau’s documentary Le Monde du Silence that debuted in Cannes earlier in 1956 and won a Palme d’Or with Cardona’s film. However, Cousteau’s film was made entirely under the water in the eastern hemisphere, not anywhere near Cozumel. 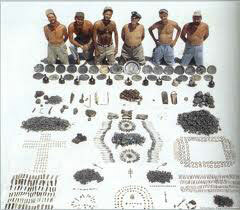 It was Cardona’s film that brought Cozumel’s reefs to the attention of the Mexican public. It also began to elicit the interest of American divers, when Un Mundo Nuevo was translated into English and shown on American TV in 1957 as The New World. As a tribute to the movie director, a reef off Cozumel was named in his honor; Cardona Reef. In 1959, Esquire Magazine writers Louis Renault & Richard Joseph wrote about Cozumel in the travel section of the magazine. Cozumel again made the magazines in 1960 with the article “Centro Turístico Cozumel: de piratas a buzos,” when it appeared in Visión magazine on October 21 of that year. The island also got a good mention in the 1960 book The Treasure Diver’s Guide, written by John Stauffer Potter. 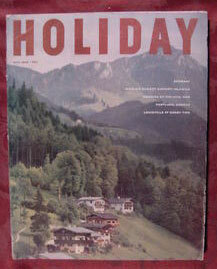 The same year, Mayaluum Hotel was advertising in the magazine Saturday Review. After the fall of Cuban strongman Fulgencio Batista’s government to Fidel Castro’s communist rebels in 1959, Castro nationalized the American-owned hotels and casinos on Cuba. Americans then began looking for some other Caribbean destination to visit for vacation. Cozumel was one of the beneficiaries of this turn of events, as was the Bahamas. The flood gates were now open, and Americans were visiting our island in droves. By 1961 Cozumel was appearing in Life Magazine as an “unspoiled vacation spot.” Hotel construction in Cozumel took off, with a dozen new lodgings opening prior to 1970 and the new vacation destination of Cozumel took its rightful place in the world.